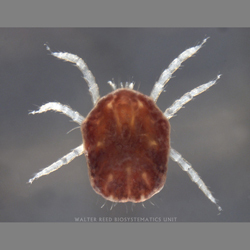 Interactive diagnostic matrix keys to the medically important tick genera and species. CLICK on the active links below to launch key, which will open in a separate browser window. Note: Keys are all BETA versions, currently in review process, and as such may contain errors. They will be corrected as reviews are completed and are subject to change without notice. We are in the process of updating keys for our new server software. Some keys still reside on the old server, and may be slow to load or not load at all if your computer's Java plug-in is not up to date. We apologize for the inconvenience.